Bicycle accidents in Carlsbad happen more often than they should, and according to a recent study at the UC San Francisco, the costs of bicycle collisions are on the rise. According to a fact sheet from the U.S. Centers for Disease Control and Prevention (CDC), trips on bicycles account for only about 1% of all trips that are taken in the country each day. Yet proportionally, bicyclists are at higher risk of suffering a serious or fatal injury in a car accident than are motor vehicle occupants. As the study explains, the recent rise in bicycle crash costs coincides with an overall increase in cycling popularity. While we want to encourage bicycling in the San Diego area for both health and environmental reasons, it is important to weigh the risks and rewards. The study was published in the journal Injury Prevention. 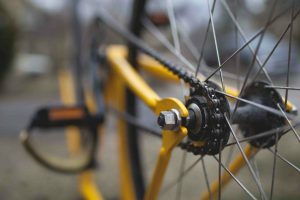 How much do bicycle accident injuries end up costing every year? In terms of the physical, emotional, and psychological costs of a serious bicycle accident, it can be extremely difficult to quantify the losses. In terms of the economic costs of a bicycle collision, the recent study tells us that they are hundreds of millions per year, totaling hundreds of billions of dollars in the last 17 years. Does the recent study help us to pinpoint some of the most salient risk factors for bicycle accidents and extensive economic costs? In short, males tend to be involved in more serious bicycle accidents than women, and older riders also appear to be disproportionately affected by bike accident rates. In addition, the study helps to illuminate some shifts in the types of bicycle crashes that are happening and requiring emergency medical treatment. More collisions are happening with motor vehicles. Were you injured in a collision with a motor vehicle? An experienced bicycle accident attorney in Carlsbad can assist with your case. Contact the Walton Law Firm to learn more about how we can help.